I was most fortunate to be able to conduct an interview with Dr. Gluck in which it is clear that he is a most thoughtful man who had to dig deep to change his heart about research on nonhuman animals. Having gone through a similar journey, I have a good idea of the torment and the difficulty surrounding his transformation. At a time of unprecedented recognition of the intellectual cognition and emotional intelligence of animals, Voracious Science and Vulnerable Animals is a powerful appeal for our respect and compassion for those creatures who have unwillingly dedicated their lives to science. Through the words of someone who has inflicted pain in the name of science and come to abhor it, it’s important to know what has led this far to progress and where further inroads in animal research ethics are needed. I was most fortunate to be able to conduct an interview with Dr. Gluck in which it is clear that he is a most thoughtful man who had to dig deep to change his heart about research on nonhuman animals. Having gone through a similar journey, I have a good idea of the torment and the difficulty surrounding his transformation. Our interview went as follows. Marc: Why did you write Voracious Science? John: The most prominent reasons were: first, a desire to illustrate the limited extent and poor quality of ethical education and discussion that I experienced as a student and then as a research oriented academic when it came to animal use justification. The common argument was simple: If you can't do the study ethically with a human that alone appeared to justify the use of an animal stand in. It might be a simple maxim but it terribly flawed. Second, I also wanted to illustrate by describing my own professional path how the forces of curiosity, desire to improve human welfare, the ease and availability of "traditional" animal methodologies, and of course ambition, closed off much of my natural connection to animals, their inherently valuable lives, and the profundity of the decision to appropriate their lives in the name of science. Marc: Was it difficult for you to write your book as you recounted your past experiences using animals and engendered the wrath of some of your colleagues? John: When I started the project I recognized the likelihood that some of my colleagues and mentors might resent my change in ethical position about the use of animals in biomedical and behavioral research. My sense of loyalty and respect for those who made my education possible provoked many pauses during the process of planning and writing the book. I knew I had to proceed. I have experienced some rejection from people of importance to me, and no doubt their comments hurt just like I knew they would and as they should. Others have been supportive. For example, one very important person in my science life said to me that although he was critical of my positions, he was glad that I was writing about the ethical questions because at least I had real experience with the issues. Marc: What are the major messages in your new book? John: (1) The process of ethical justification about the use of animals in research must be a process at least as rigorous and sound as we expect the planning, design, execution, and analysis of the research to be. This requires substantive knowledge about the moral standing of animals not attained by simple on-line compliance-oriented courses that are all too commonly used educational tools. (2) A researcher and his or her staff must know who the animals are as animals before considering a species for possible use. Without knowing about the wild lives of the animals in question, the researcher will be handicapped in identifying potential harms produced by captivity and experimental interventions which is crucial to determining whether use is ethically acceptable. A related point is that creating and validating non-animal alternatives should not be seen an act of charity. Instead, it is an ethical obligation grounded in the inherent value of animal lives. (3) Even if a researcher carefully decides that animal use in a particular situation is necessary and not "just worth doing," the ethical obligations have not been exhausted. Even in such a case harms will be done to innocent beings which leaves a residual which requires compensation. How to pay back this debt requires the moral imagination of the researcher. Merely saying one is sorry in a soft voice or putting a flower by an animal statue acknowledges the debt, which is crucial, but doesn't compensate for it. Marc: What are your suggestions for students who simply do not want to engage in dissection and vivisection? John: Dissection of animal bodies early in the educational experience of students is likely to produce more disgust and science turnoff or an increased degree of desensitization and loss of respect for animal lives than it will advance an educational goal. Available and developing methods of virtual dissection are capable of deep education and respect for animal lives. Students may need to find the courage to demand access to these methods. They may also have to be prepared to suggest their own approach to the assignments rather than silent cooperation. I recognize how difficult this can be as I failed for a long time to find the courage I describe. John: (1) The process of ethical justification about the use of animals in research must be a process at least as rigorous and sound as we expect the planning, design, execution, and analysis of the research to be. This requires substantive knowledge about the moral standing of animals not attained by simple on-line compliance-oriented courses that are all too commonly used educational tools. (2) A researcher and his or her staff must know who the animals are as animals before considering a species for possible use. Without knowing about the wild lives of the animals in question, the researcher will be handicapped in identifying potential harms produced by captivity and experimental interventions which is crucial to determining whether use is ethically acceptable. A related point is that creating and validating non-animal alternatives should not be seen an act of charity. Instead, it is an ethical obligation grounded in the inherent value of animal lives. (3) Even if a researcher carefully decides that animal use in a particular situation is necessary and not "just worth doing," the ethical obligations have not been exhausted. Even in such a case harms will be done to an innocent beings which leaves a residual which requires compensation. How to pay back this debt requires the moral imagination of the researcher. Merely saying one is sorry in a soft voice or putting a flower by an animal statue acknowledges the debt, which is crucial, but doesn't compensate for it. Feeling ambivalence about the use of animals in research is the necessary starting point of a researcher considering animal experimentation. That feeling should be nurtured and not eliminated. That reluctance can lead to more appropriate identification of harm and proper pain identification and improved estimation of experimental value. At the same time, alternatives to animal use are expanding constantly. "Organs on a chip," "green neuroscience," and the ethical use of humans in research with some risk all provide non-animal paths to a researcher. Showing a willingness to move in these research directions saves our integrity and serves as an ethical model to others. Marc: Do you have hope for a future when the use of animals is a "thing of the past" as many different non-animal alternatives are developed and used? John: I do have hope. As I indicated earlier in our conversation, the development and validation of animal alternatives should not be seen as an act of charity that is left up to only the most sensitive and generous among us. Instead it is an ethical obligation for all researchers. I have often thought that if some of my animal-using colleagues applied their deep intelligence and understanding of nature to the development of alternatives, the objective we all say we want to reach, then non-animal-use would become a reality with much greater speed. Marc: What are your current projects? John: I still lecture about research ethics to student scientists whenever I get the chance. I am also involved with the Animals and Society Institute in trying to expand courses in Human Animal Studies throughout the university curriculum. The study of human-animal relationships is not the just the subject matter for science departments. Finally, I am getting involved in trying to improve the welfare of chimpanzees leaving laboratories and entering sanctuaries. Such transitions can be stressful and it is crucial that we learn how to accomplish them without doing harm. Marc: Is there anything else you'd like to tell readers? John: I would urge that those of us concerned with animal research to make themselves available to participate in Institutional Animal Care and Use Committees. The only way to defeat the criticism that many of these committees are the fox guarding the henhouse is to get more of us chickens on those oversight boards. People in academia can make their interests known to the university president, the vice president for research, college deans, and others. Be prepared to be persistent. People outside of academia can reach out to the same officers to volunteer for public member positions. These important committees cannot be allowed to continue to be echo chambers of a shared point of view. Thank you very much John. I highly recommend Voracious Science to a broad audience. 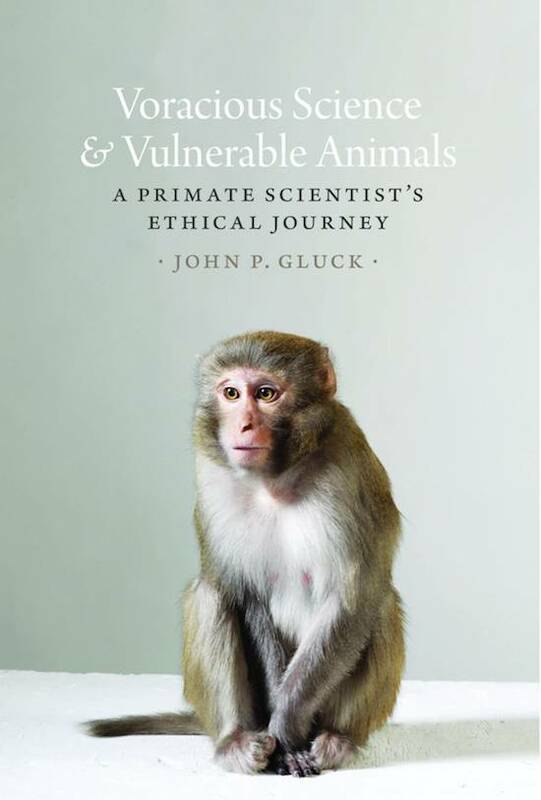 Dr. Gluck is a very courageous man and his book makes for excellent reading and would a wonderful text for undergraduate and graduate courses in biology, psychology, anthrozoology (human-animal relationships), and human-animal studies. It also would be good reading for anyone interested in learning more about some of the nitty-gritty details of research on nonhuman animals. Note: For more on scientists and their views on the use of nonhuman animals in research please see "The Animal Welfare Act Claims Rats and Mice Are Not Animals".